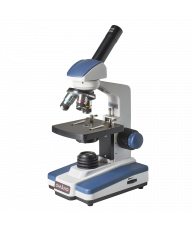 The Omano 2.25x ESD-Safe LED magnifying lamp has a large, 6-inch diameter, precision ground, crown glass with the optical quality of prescription eye wear. 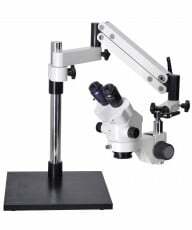 This enables near-zero light refraction or dispersion for the industrial inspector, jewelry appraiser or hobbyist looking for a bigger, better view of their subject. 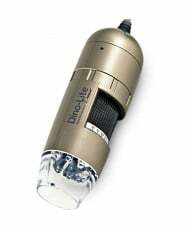 Illumination is provided by 64 super bright LEDs for cool, shadow-free, 430 lumen light, crystal-clear images and reduced glare. 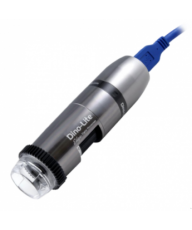 The light is designed for electro-static discharge (ESD) safe operation, ideal for sensitive electronic environments and the 15 year service life ensures quality lighting for years to come. The spring-powered metal arm extends 32 inches in height and 42 inches horizontally to position your light source and lens exactly where you need it. By adjusting the knurled locking screw you can orient the lens vertically, horizontally, or anywhere in between for optimum viewing flexibility. 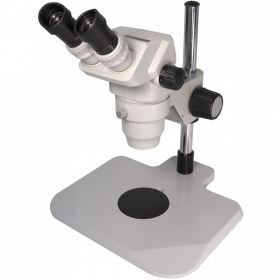 Standard mounting includes a robust C-clamp which securely anchors your magnifier lamp to any table, desk or workbench surface up to 2.5 inches thick. One-Year Warranty. Rugged metal construction ensures years of satisfying performance. 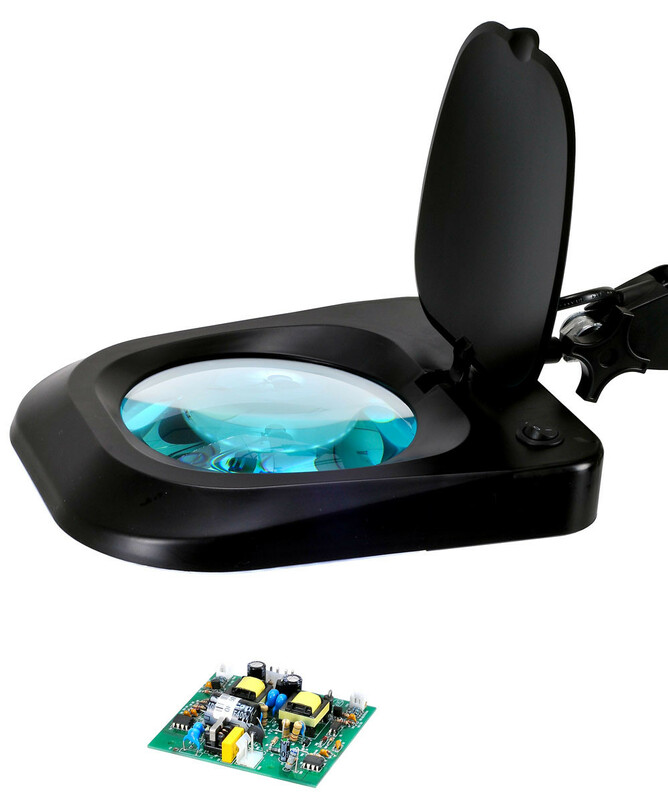 For additional information, please see our Magnifier Lamp Buyers Guide. 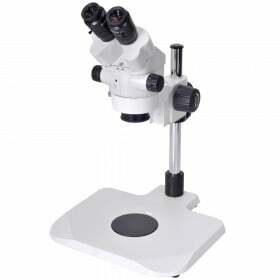 The Omano 2.25x (5 diopter) ESD-Safe LED magnifying lamp has a large, 6-inch diameter, precision ground, crown glass with the optical quality of prescription eye wear. 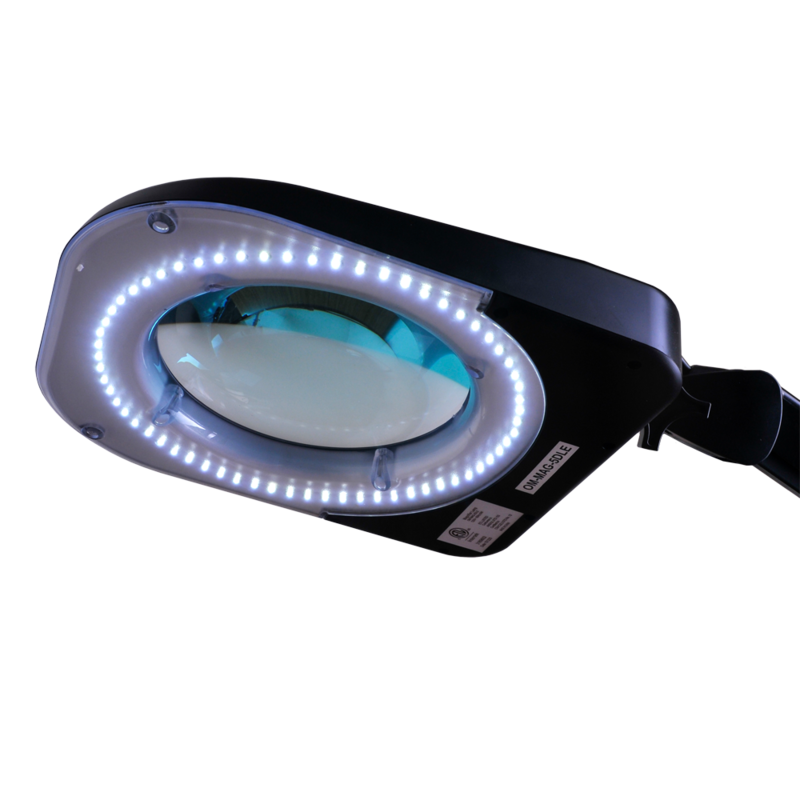 This enables near-zero light refraction or dispersion for the industrial inspector, jewelry appraiser or hobbyist looking for a bigger, better view of their subject.. Illumination is provided by 64 super bright LEDs for 325 lumens of cool, shadow-free light, crystal-clear images and reduced glare. The light is designed for electro-static discharge (ESD) safe operation, ideal for sensitive electronic environments and the 50,000-hour service life ensures years of quality lighting. 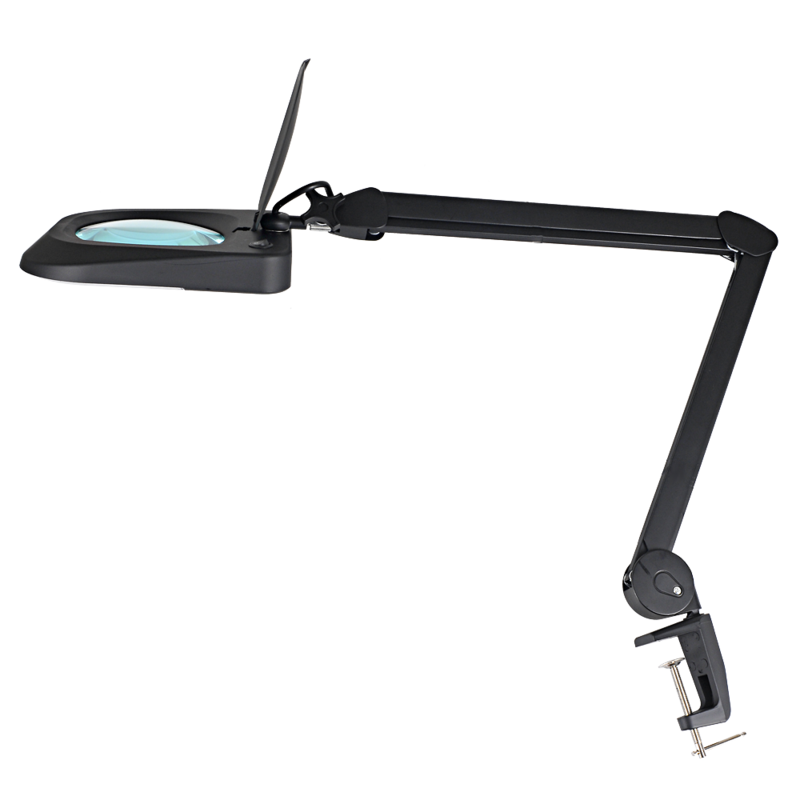 The spring-powered metal arm extends 32 inches in height and 42 inches horizontally to position your light source and lens exactly where you need it. 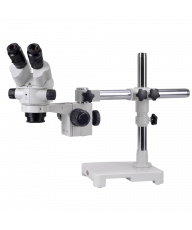 By adjusting the knurled locking screw you can orient the lens vertically, horizontally, or anywhere in between for optimum viewing flexibility. Standard mounting includes a robust C-clamp which securely anchors your magnifier lamp to any table, desk or workbench surface up to 2.5 inches thick. One-Year Warranty.Rugged metal construction ensures years of satisfying performance. 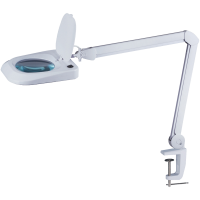 For additional information, please see our Magnifier Lamp Buyers Guide.